To sign up to the S2S - UK Holiday Parks Newsletter, simply click the Request Newsletter button below and you will receive amazing special offers, discounts and access to secret sales. 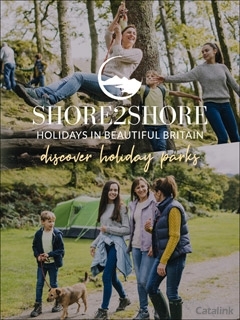 Shore 2 Shore Holiday Parks – Find the perfect escape for you and your family! The S2S Holiday Parks Newsletter Highlights brings you information on Holiday Parks all over the UK – whether you are an older couple looking for a quiet getaway, a family looking for some fun with the kids or perhaps a group of friends taking a break together, the Catalink holiday park client highlights are sure to bring something new to your attention. S2S Holiday Parks looks right across the UK to find the most beautiful settings, the most fun activities for children and adults, and the most up–to–date facilities, and then sends you email highlights with specific details of featured holiday parks or information telling you where to go to find them for yourself! Sign up today to get great holiday park ideas! By Pressing the Request Newsletter button you give S2S - UK Holiday Parks (and their Data Processors for the specific purpose of delivering your emails) consent to send you their newsletter via email until such time as you choose to unsubscribe.